Last week, I wrote about my new kiss clasp purses. My mom saw my post. 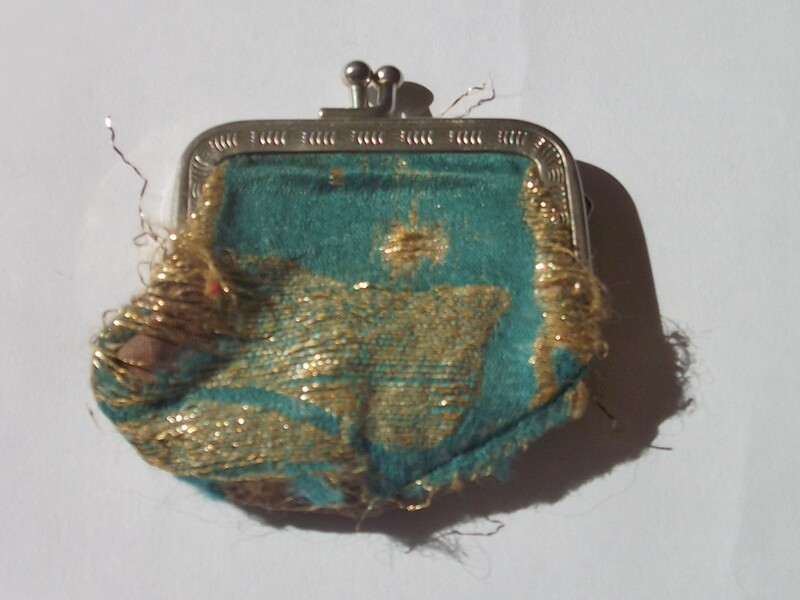 When she saw me the following day, she pulled out a tiny and very old kiss clasp purse to show me. It was over one hundred years old and belonged to my great great grandmother, Mary Lucinda (Williams) Ellinwood. The daughter of a Civil War veteran, Edward Williams, she was born in Greene County, Indiana on March 11, 1877 (that's 136 years ago). She was called "Lulu". She loved quilting and my mom explained to me that she always carried her quilting needle in her pocket in this little kiss clasp purse. 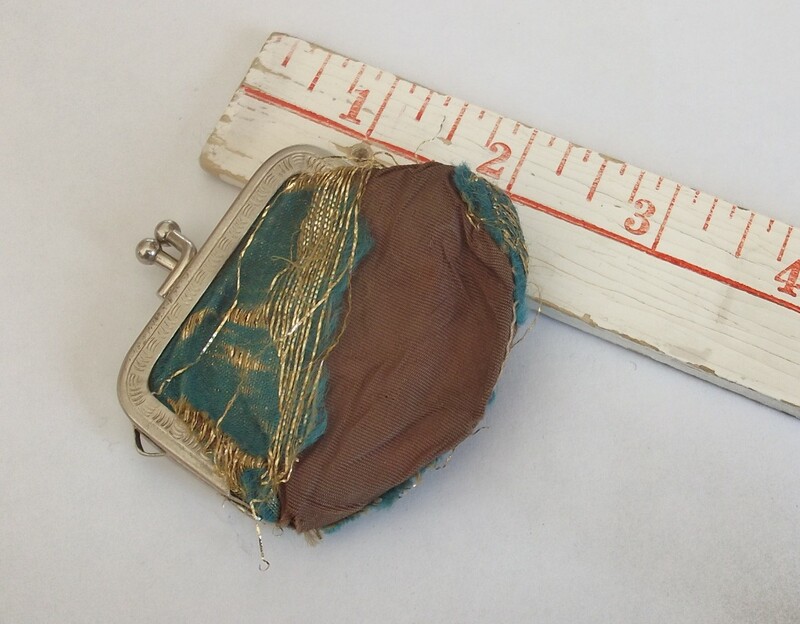 As you can see, the purse was very small -- only about two inches deep. I actually knew Grandma Ellinwood. She was still living at the time I was born. 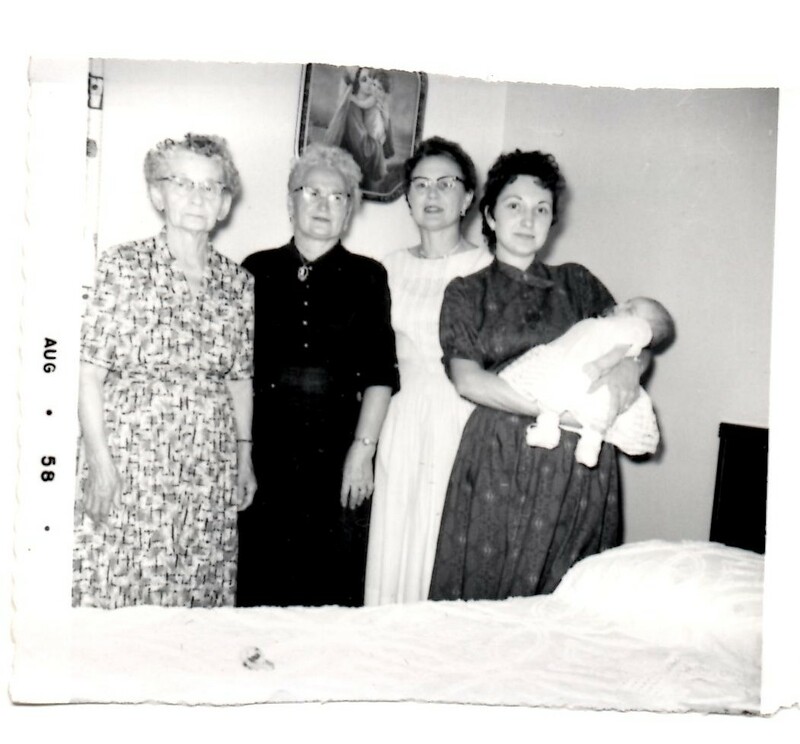 In fact, there were five generations of women on my mom's side of the family that were alive at the time that I was born. Because that was fairly unusual, a picture was taken of the five generations for our local paper. I'm the baby in the photo. My Great Great Grandma Ellinwood died on July 3, 1966, just before I turned eight years old. I can still remember her quite well, including the fireworks displays in the dark night sky as we headed home to Michigan from Ohio following her funeral. 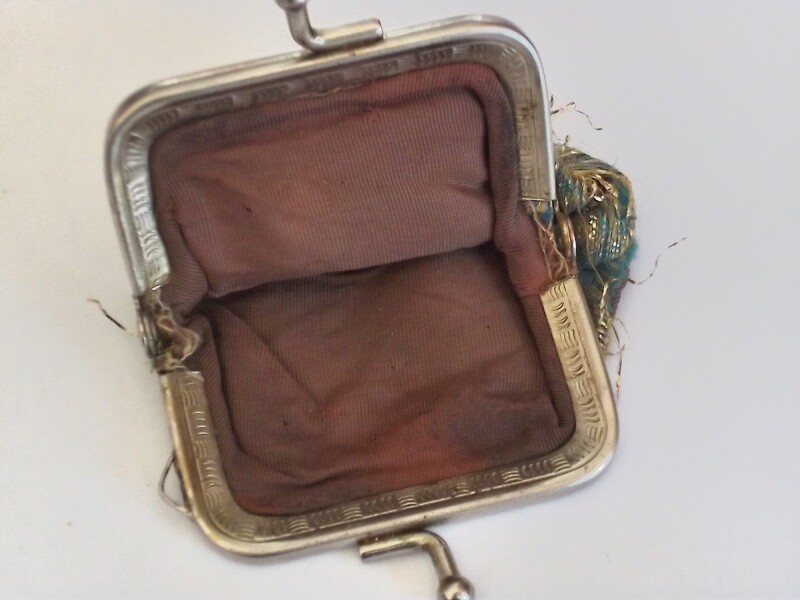 Seeing my great great grandmother's quilting needle purse caused me to reflect upon the interesting connections between those five generations of women in my family. 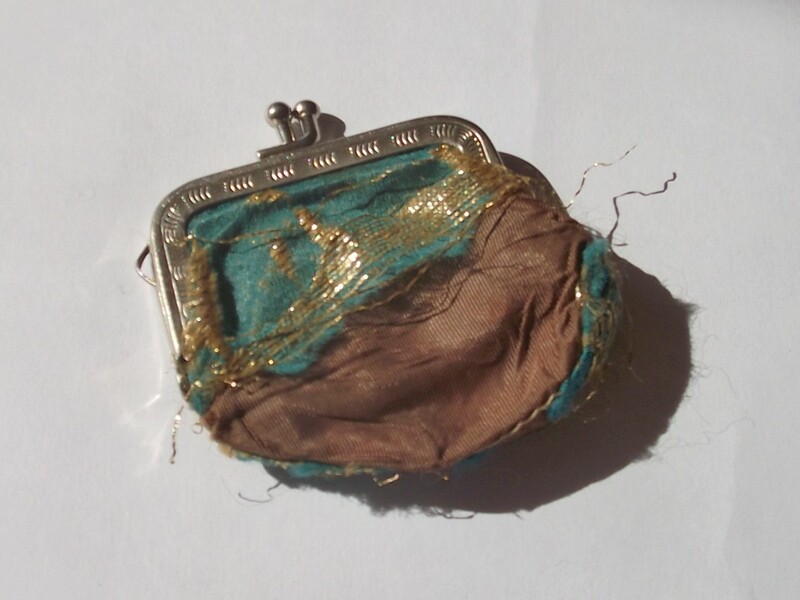 I had just created four new kiss clasp purses, and my great great grandmother had actually used a similar little bag to carry around her prized quilting needle. My grandmother, who taught me to crochet (a skill I used in making the embellishments for my kiss clasp purses) was also an avid quilter, like her Grandma Ellinwood. And it was my mother (practicing a skill handed down from generation to generation in her family), who taught me how to sew, giving me the means to actually make those kiss clasp purses. I should also mention that my great grandmother (second from the left in the photo) was a talented artisan. I remember that she made beautiful beaded flowers. 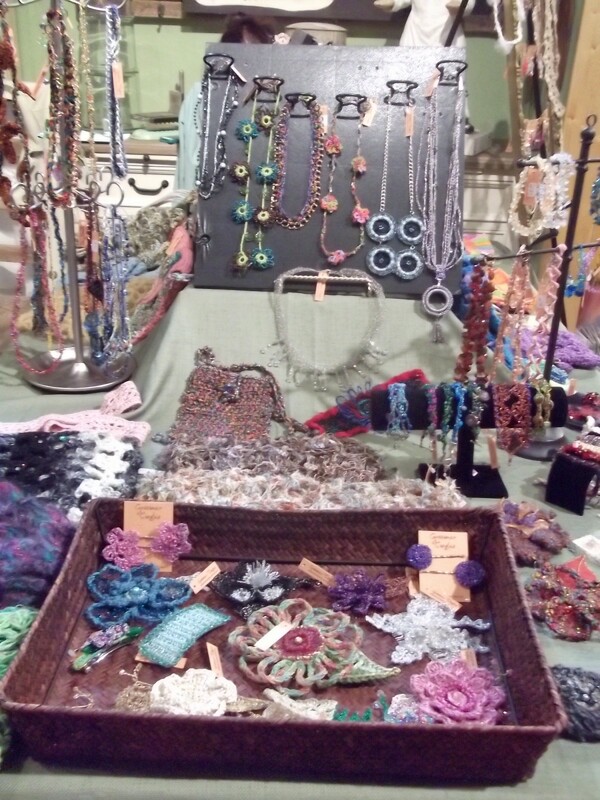 Maybe that is where I got my love of beads -- another element in my little purses. I'm sure there are many more connections I could draw. It gives an added dimension to my work when I can see these small but meaningful connections of time and family. I wanted to share a couple of other things in this post. 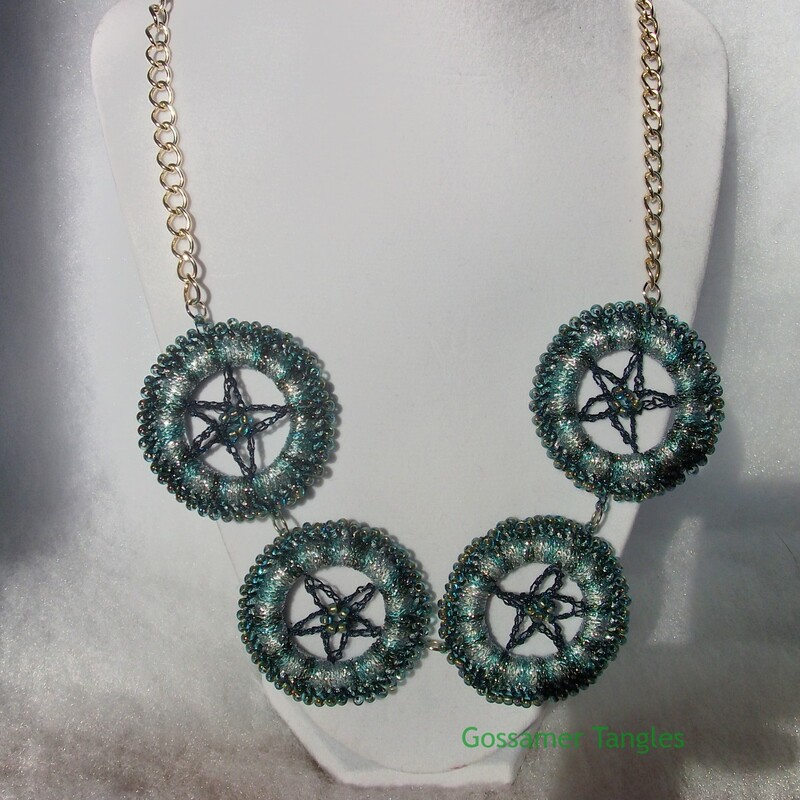 I've added two new items to my Etsy shop today. 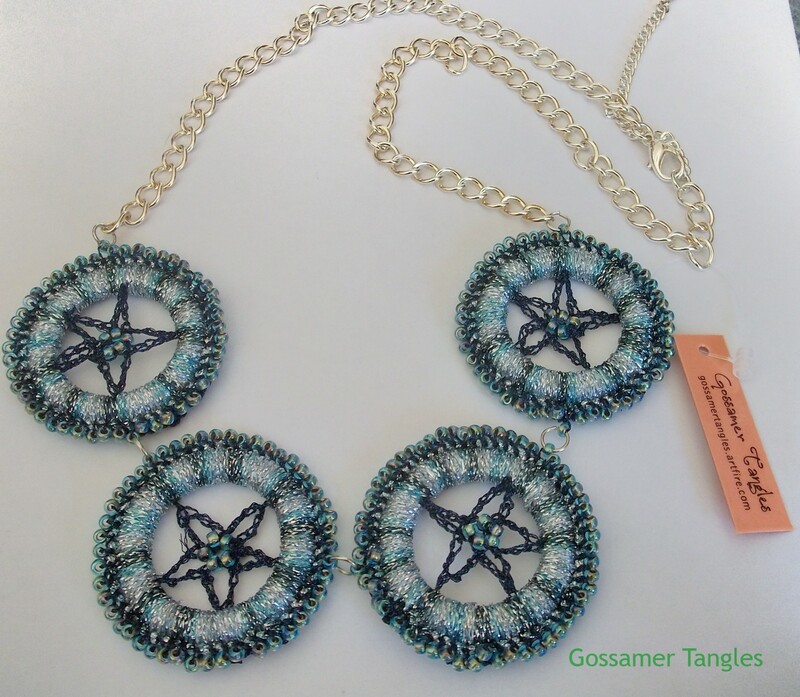 The first is a necklace featuring star-filled rings. 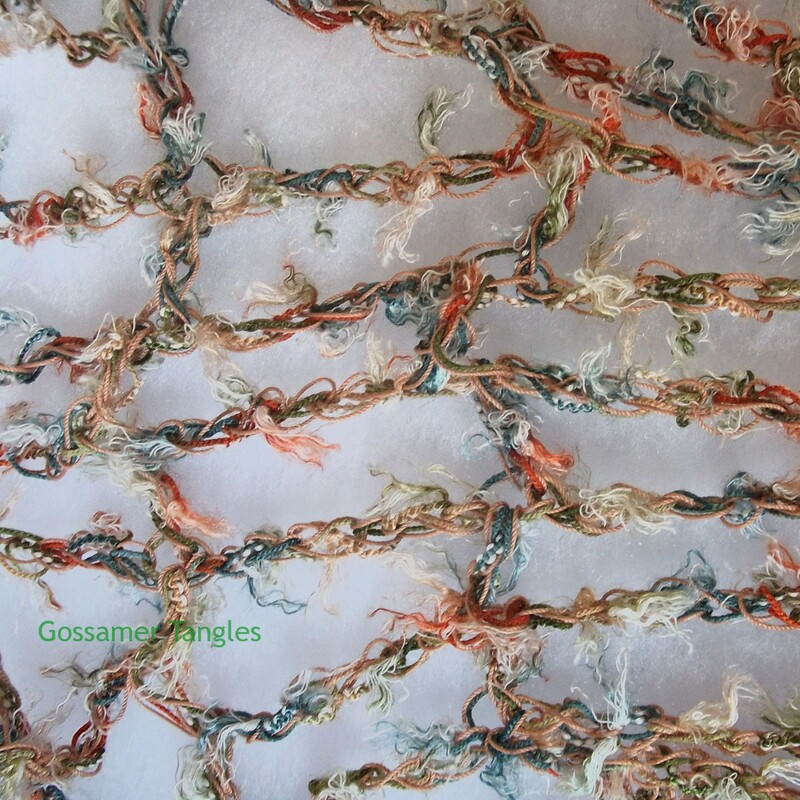 This is a bit different than the pieces I usually make. 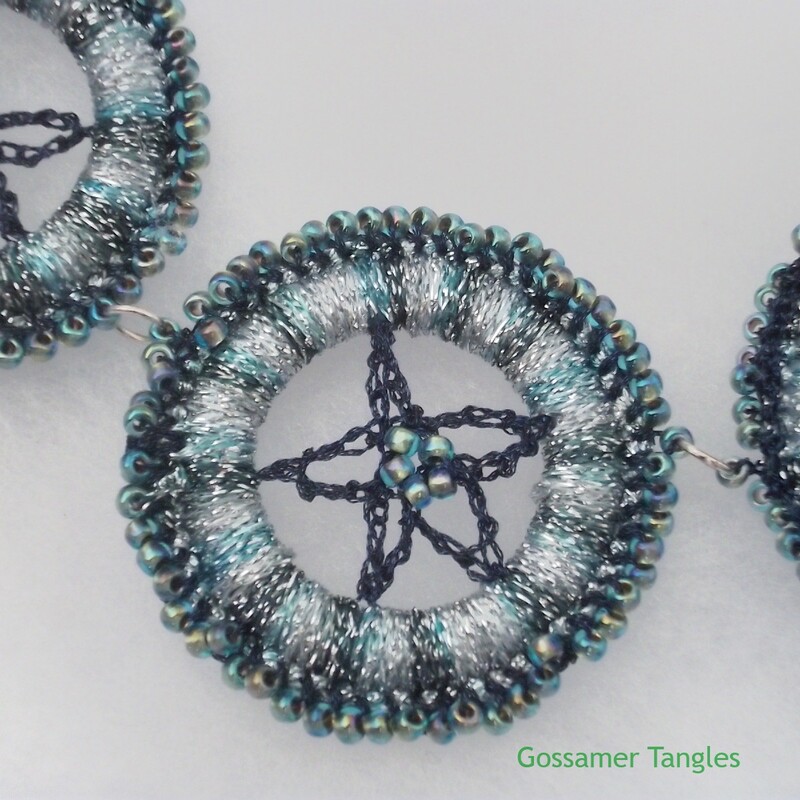 I love the silver and blue combination, and it was a lot of fun to work out the design for the rings. 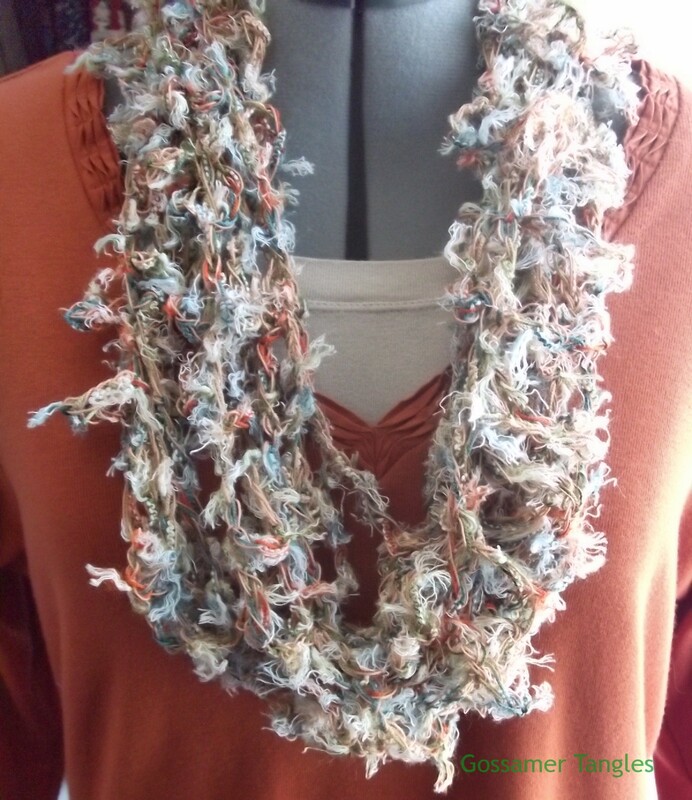 The second item is a very lightweight, open weave infinity scarf. It's perfect for spring and summer. 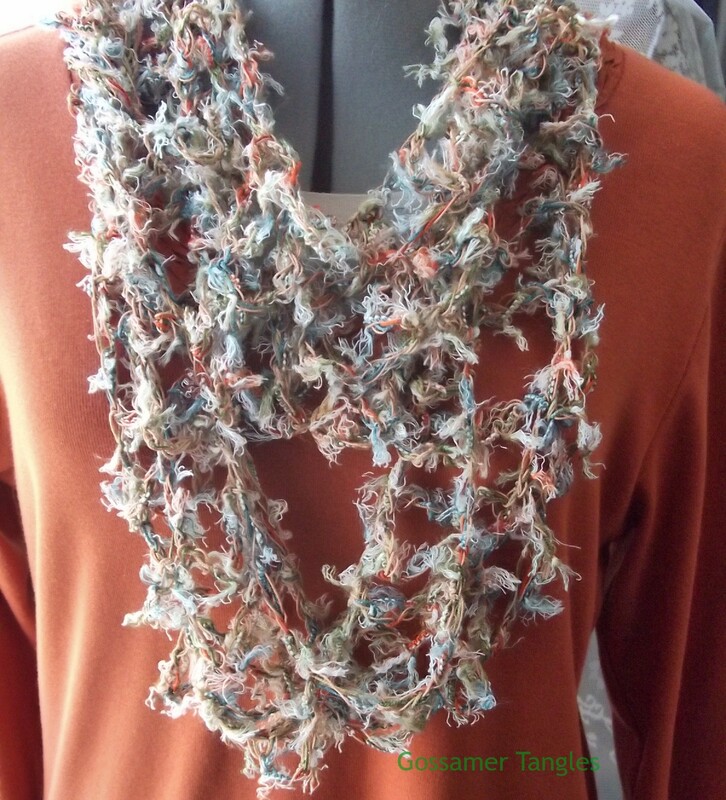 I plan to create more of these scarves, both in traditional and infinity styles, in a variety of colors and light weight fibers for the warmer months ahead. 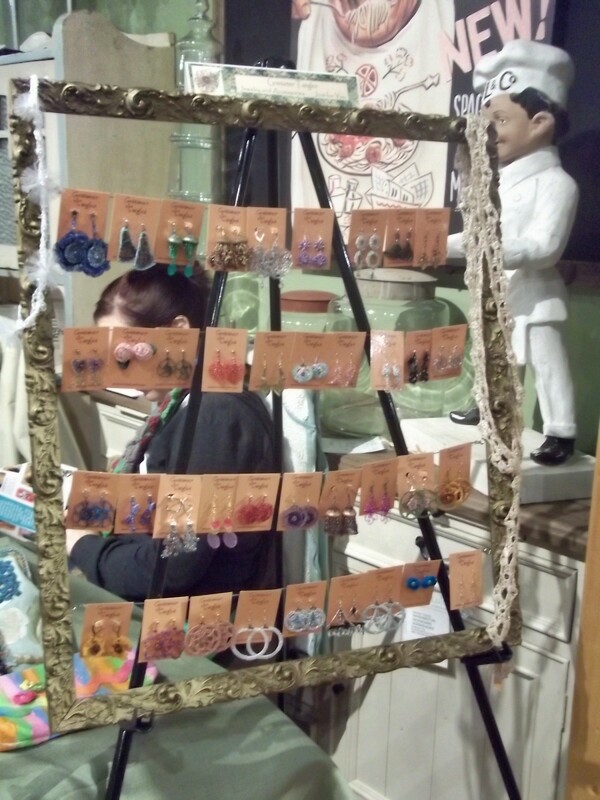 Finally, here are a couple of photos from last weekend's Artists' Market at Leon & Lulu. 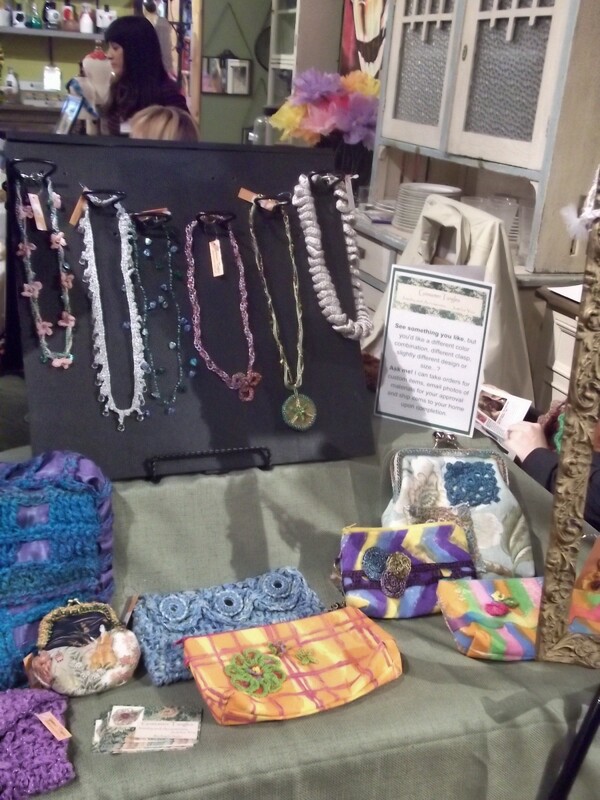 I met some wonderful artists and as always, I just love being there. The people who work there are wonderful and they do so much for the community. It is inspiring.